While Application Insights shares some common development ancestry with SCOM APM, it has matured far beyond the basic APM capabilities offered in SCOM. In the first post I walked through the basics of instrumenting a .NET application with Application Insights in Visual Studio. This is great if you have access to the source code of the app you are looking to monitor, but there are often applications both on premises and in the cloud that you may need to monitor in your environment where you don’t have source code access. Application Insights answer to this problem, comes in the form of a little known feature called Status Monitor. It works on premises and in any cloud, all you need is a .NET app hosted in IIS and outbound connectivity to Azure. Since not everyone has a .NET app lying around I thought it would be fun to first demo this functionality with one app I know every SCOM Admin will be familiar with, the SCOM web console. Now a quick disclaimer, I am not suggesting you monitor your production SCOM Web Console with Application Insights, I would actually advise against it. I’ve always found the SCOM web console to be somewhat finicky/brittle and I don’t want anyone to break their prod environment. In this case I have a freshly built SCOM 2016 UR6 test environment running on Hyper-V so I can checkpoint and rollback if SCOM decides it doesn’t want to play nice. Once you play around with Application Insights with SCOM you start to think of other on premises tech that is based on .NET where Status Monitor can add value. 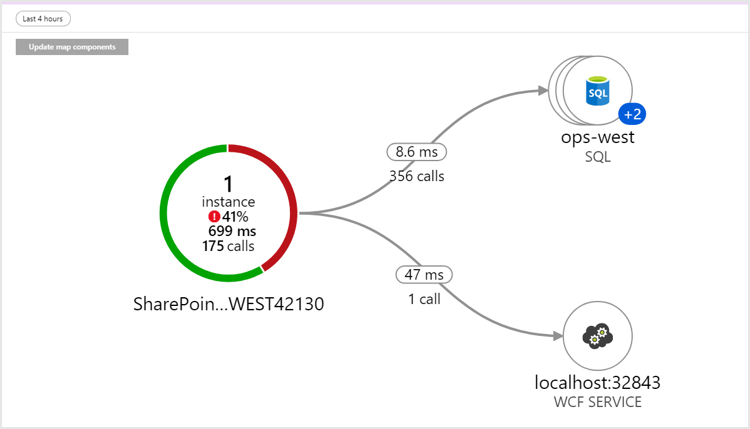 As a quick test I spun up an on premises SharePoint 2019 server and adding server side monitoring took just a few minutes. Back in 2017 I moved away from working with SCOM to a role focused on Application Insights and monitoring in Azure. I always used to hear Application Insights is only for developers, but the more I use it, the more I see ways in which it could be useful to a broader audience. It’s not to say the core audience isn’t still the more dev centric, it is, but even if coding isn’t part of your day-to-day work I think it’s useful to know how all the available tools in your toolbox work. Application monitoring is something everyone who works on monitoring needs to care about, not just developers. 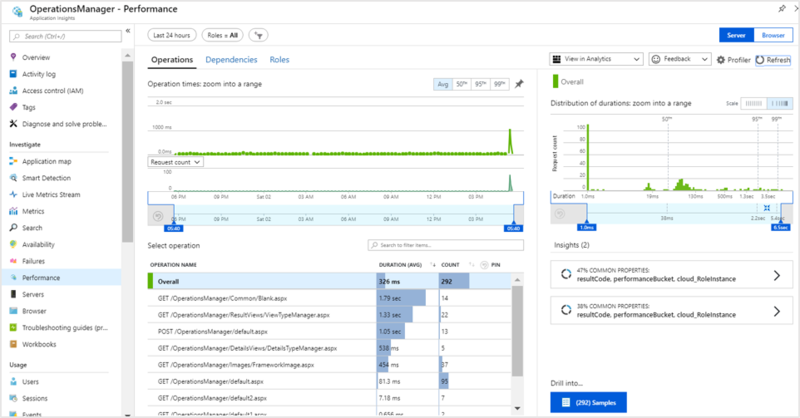 Towards that end, I started a side-project recently to help anyone get up to speed on Azure Monitor – Application Insights. It doesn’t assume any developer knowledge, every step is recorded so even if you have never written a line of code before it’s possible to follow along. Having some degree of dev/scripting background will certainly help, but it isn’t required. I walk through each step, and if you don’t come from a traditional coding background this might give you that extra nudge to dig in and learn more. For the first video all you need is a free copy of Visual Studio 2017 Community edition, and an Azure subscription. If you don’t have a subscription you can sign-up for a free subscription here. 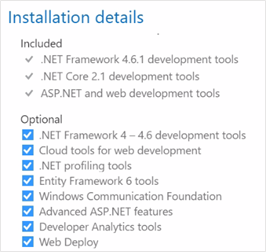 During the Visual Studio install select ASP.NET and web development. I think I have enough time to make a new video every two weeks, but having a sense of how much interest there is will help in setting aside time. How do I: Monitor Azure AD Connect Sync with SCOM? How do I: Create An Advanced SQL Database Backup Monitor In Visual Studio?